Check out the Mini Hughes Radio Controlled Helicopter which fits in the palm of your hand, the device can be seen working in the video below. 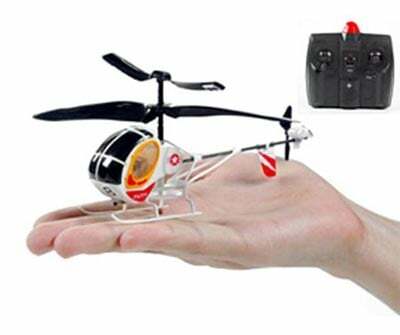 It is the reported to be the world’s lightest and smallest radio controlled helicopter. and it measures just 5 inches long, and sits on the palm of your hand, it shares the same design as the Hughes 300 Helicopter. The Mini Hughes Radio Controlled Helicopter charges directly from the controller which uses “AA” batteries and has a full-function trim control for the perfect flight. The mini Hughes 300 Fairy R/C Helicopter is available to buy online for $19.95 from Hobby Tron.